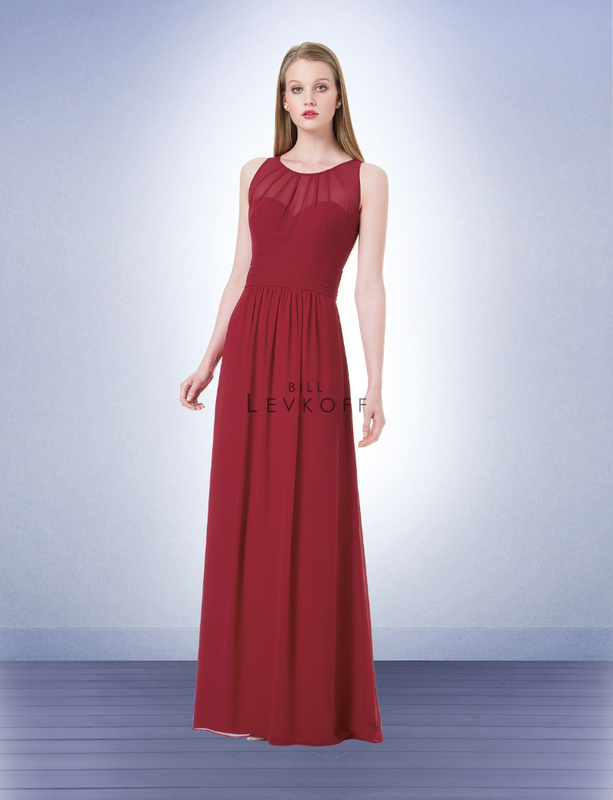 Bill Levkoff Bridesmaid Style 1204 is a Chiffon sleeveless gown with a sheer illusion top and a sweetheart neckline. 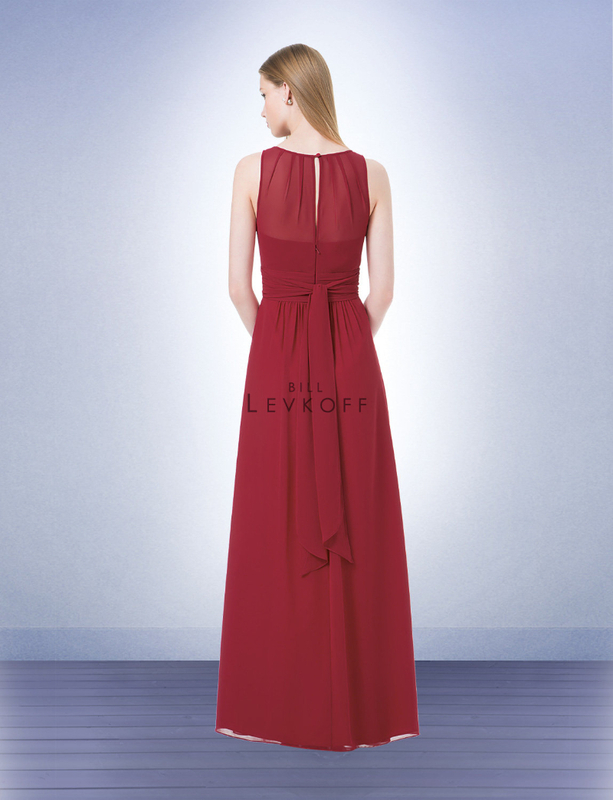 One button in the back with a thin keyhole. Pleated cummerbund with a self back tie and tails. Soft gathers adorn the skirt. Please note that delivery times are estimated, and change daily. It can sometime take up to 4 months for regular delivery.